Hi I’m Mitzi! I just got here with my brother Bentley. Our family had some health issues and were unable to continue caring for us. We are litter mates and have been together our whole life. I am on a prescription diet because I had bladder stones at one time but no longer have issues as long as i get my food! I also have a disease called Addisons. This does not slow me down and I currently take a small pill for this every other day. I am looking for a quiet home where me and my brother can relax. We are trained to potty on potty pads and do great with this. 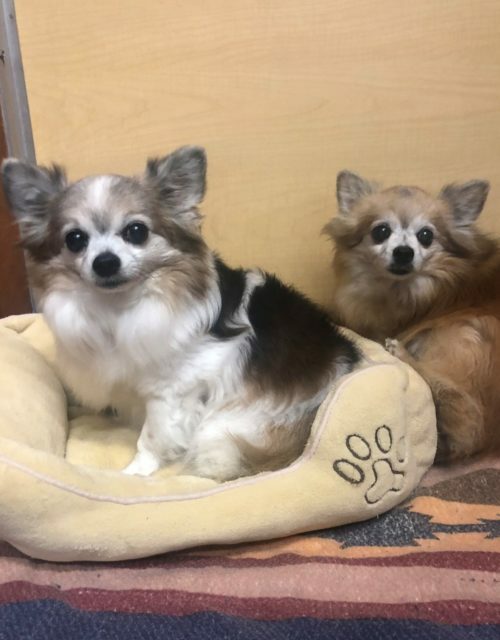 We are just a couple of sweet older seniors looking for a loving retirement home.